Just recently, a friend of mine text me and share with me a "Kang Tao" (Hokkien for opportunity) counter, a small cap company called Tai Sin Electric Ltd (500.SI). Of course, the first thing I do is to do my due diligent and dig in further. Hence this post on Tai Sin Electronics' CNAV analysis. 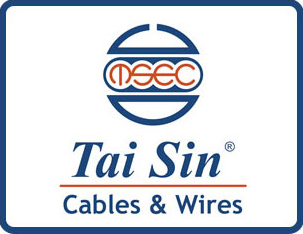 Tai Sin Electric is an investment holding company, manufactures, trades in, and distributes cable and wire products. The company operates in Cable & Wire, Switchboard, Electrical Material Distribution, Test & Inspection, and Others segments. It primarily operates in Singapore, Malaysia, Brunei, Vietnam, and Indonesia. The company was founded in 1980, listed in SESDAQ in 1998 and subsequently transferred to the SGX Main Board in 2015. Conclusion : From the price's perspective, it is traded above the CNAV2 but is marginally below the NAV. 1. The company has a strong Balance Sheet with positive Free Cash Flow of about $22 mil. 2. For the past 3 years, the company has a consistent dividend yield of about 6.9%. 3. For FY2015, the Group’s turnover for the year declined by 5.66% to $289.96 million from $307.35 million for the previous financial year. 4. For FY2015, the Group’s gross profit was $54.43 million, a drop of 13.52%, compared to the previous financial year. Profit before tax declined 22.08% to $20.43 million. Earnings per share was 3.92 cents as compared to 4.96 cents in the previous financial year. Click here for the pdf copy of Tai Sin Electronics' 2015 Annual Report! Tai Sin Electric is not a CNAV stock but worth a second look for potential income play. Have feeling that your analysis may require market crash or big bear to be executable? So due to yr analysis you will not be investing? Just curious, are you vested in this counter?